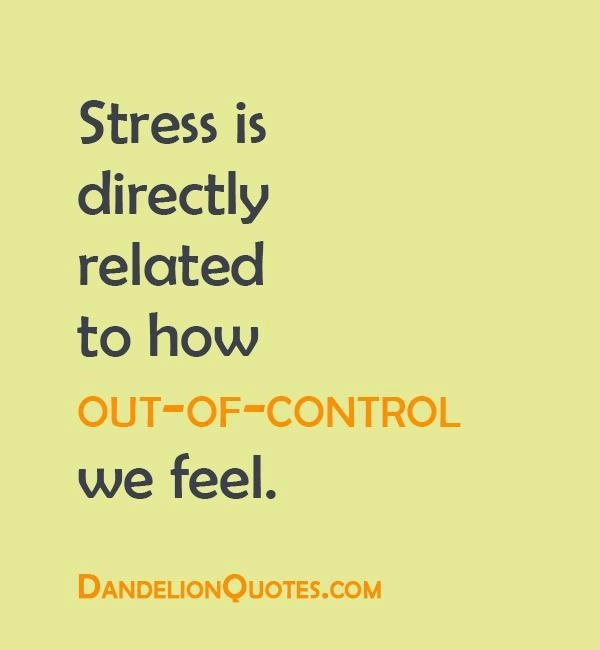 Show of hands - who feels stressed out today? I have both hands waving wildly. I found the above on pinterest (and why can't you embed them any longer with direct link?) and realize that it's very true. However, at the same time, a lot of why I'm stressed is because of things I've brought upon myself - like the kitchen cabinet redo for starters. 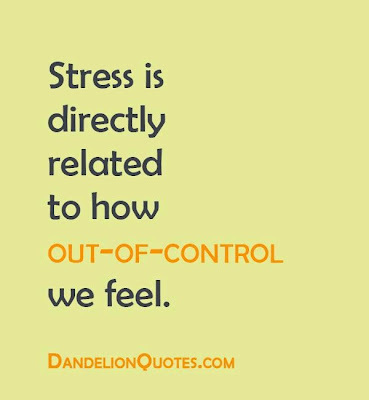 I've definitely been stressed out about things out of my control, but try to avoid letting those things stress me out like they may have in the past. But how do you deal with things that you sort of started yourself? Right now, there's not enough time in the day to get everything sorted out and done that I need to be getting done. I guess I'm just getting ahead of myself over and over to the point of feeling behind. Does that makes sense? However, I've started noticing some effects like headaches, muddled thinking, being more accident prone than usual, irritable and borderline depressed. Guess that means somethings got to change right? My go-to for stress-relief is running. But right now the more I run the more I'm hurting myself. So that's no good either. 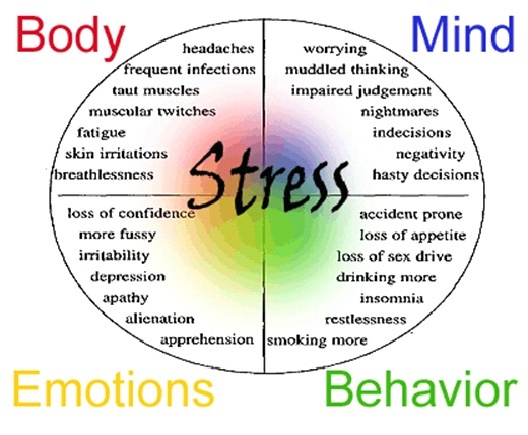 I've got to figure out how to face these stressors and deal with them. Either set some of the things aside, delegate, or ditch it all together. It may sound a bit vague not actually saying what all of the stressors are. I'll say part of it is the personal trainer certification. I passed, I should be stress-less about that right? I have to pass CPR/AED tomorrow and have had to figure out how to squeeze in time to study in between the cabinet remodel nightmare. Work's crazy busy and we're moving offices. So upheaval at work (aka messier than usual office) then upheaval at home (you know, having utensils in the laundry room and canned goods in the study) = no feeling of calm and relaxing. I have a million things on my to-do list and almost no time to sit down and get any of them done. I'm basically juggling too many projects on top of my normal day-to-day routine. I've let the stress creep up on me too. So it feel like it has just whacked me in the head, even though it has been adding up for a couple of weeks now. Gotta love that breaking point feeling right? Ok, maybe not. How do you deal with stress - especially when it's something you've sort of created? This isn't the stress of someone else hitting your car or the grocery store being out of your favorite peanut butter. This is the stress you bring on yourself because you're trying to reach certain goals. A bit of a rambling post - but that's sort of where my brain is. How about you?